Welcome Julie, can you tell us a little about yourself, and your blog? Yes, certainly; I’m a former NHS medical secretary/practice administrator and I live mostly in Sussex but part of my heart belongs to Cumbria. I am a bit of a Luddite and knew nothing about blogging, until my eldest child insisted I should be dragging myself into the 21st Century if I didn’t want to get left behind in this increasingly technical world. My son set up my blog towards the end of 2014; a few months before the release of my first book. The subject was to be the trials and tribulations of a novice novelist and the pitfalls surrounding publication. I had heard some horror stories of people parting with thousands of pounds to get their work into print and having done a lot of research on the subject, I wanted to pass on what I had learned. However, once I started the blog, other topics sprang into existence and my ‘Supper on a Shoestring’ seems to go down well. I also feature guest bloggers and reviews. I have a general heading ‘Life’ so anyone and everyone can smile at the scrapes I get myself into by my complete inability to ever say ‘NO’ to anything I’m asked to do! Goodness me yes, I wouldn’t have the patience or time to devote to more than one. It depends if I’ve written it myself or if I’m featuring a guest. The latter takes very little time, just a brief introduction but the former can take a while. I would say between one and five hours a week. However if I’m writing then it is considerably less. Connecting with the whole world through my laptop. 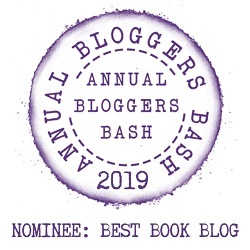 Being a terrible technophobe, it took me over a year to find out how to set up a static page and a further three months to add my categories to the top ribbon. I see some bloggers’ sites and I’m green with envy. Most definitely. I’ve had fantastic encouragement from other bloggers; I hesitate to name names as I’m sure to offend someone with an unintentional omission. As with the writing community, the blogging community are on the whole a very supportive group of people. I try to drop it into the conversation if it’s appropriate but I don’t ram it down their throats as that might encourage people to cross over the road when they see me approaching. However I think most of my contacts know that I blog. Don’t expect to gain thousands of followers overnight. Keep at it and steadily build up your profile. Support other bloggers and many will reciprocate. Go for it but don’t blog for the sake of it. Make sure you have something to say that will be interesting to others. My next post will probably be a pictorial journey of my time in Cumbria. I will be very sad to leave and hope to stay in touch with the lovely friends I’ve made here. Many have my contact details and are particularly following my regular guest blogger, Clive, as he captures the Wainwright fells. In fact his blogs often attract more interest than mine, so I’m thinking of banning him. I would just like to say a very big thank you to Julie for giving us an insight in her blogging life, and we wish her lots of success for the future.